Waterloo will open the season at home on Tuesday, May 28 versus the La Crosse Loggers at 6:35 pm. Waterloo will close out the regular season at home versus the Eau Claire Express on Sunday, August 11 at 2:05 pm. This season features a pair of split-doubleheaders for the third consecutive year. On July 29, the Bucks will host the Duluth Huskies for an 11:05 am start. At the completion of game one, the stadium will be cleared and reopened for game two which will begin at 6:35 pm. Both contests will be nine inning games. Waterloo and the Huskies will also play each other in a split-double header in Duluth, Minnesota earlier in the season on June 12. The Bucks begin their longest homestand of the season, a five-game homestand over six days, on June 20, facing the Eau Claire Express for four games and La Crosse for one. As for the longest road trip, Waterloo will have a seven-game swing starting on June 26. During that trip, the Bucks will travel to La Crosse to face the Loggers for one game, then to St. Cloud, Minnesota for a two-game series versus the Rox, finishing up with a four-game series versus the Thunder Bay Border Cats in Ontario, Canada. The final day of the first-half of Northwoods League action will be July 2 when Waterloo finishes up a four-game series versus Thunder Bay. The Bucks start the second half at home versus the Rochester Honkers on July 3. As part of 2019 NWL expansion and realignment, the League is adopting new divisional names: Great Plains and Great Lakes. The names serve as an homage to the growth the League has experienced over its 25-year history, as well as its vast geographic presence, stretching from the Great Plains at its western-most edge, throughout the Great Lakes region to the East. The Division and Sub-Division breakout is as follows. This season’s NWL Playoffs will begin on Monday, August 12. Breaking the regular season home schedule down by days of the week, Cost Cutters Field at Riverfront Stadium will be the site of eight Sunday games, seven Monday games, four Tuesday games, three Wednesday games, four Thursday games, three Friday games, and seven Saturday games. The Bucks will be home for Flag Day (Friday, June 14 versus the Border Cats), their traditional Father’s Day game (Sunday, June 16 versus Thunder Bay), and Independence Day (Thursday, July 4 versus Rochester). The Bucks will play three games at home in the month of May, 15 games at home in the month of June, 12 games at home during the month of July, and six games at home during the month of August. Waterloo will be the home team for 18 games in the first half of the season and 18 games in the second half. All Bucks home games are played at Cost Cutters Field at Riverfront Stadium which will host the 2019 Northwoods League All-Star Game. The ballpark welcomed a new state of the art video board in 2016 thanks to a matching grant from the Black Hawk County Gaming Association. Team ownership has invested more than $250,000 in improvements since the end of the 2014 season including painted bleachers, public Wi-Fi, sound system, group outing areas, kids zone inflatables, and concessions equipment. 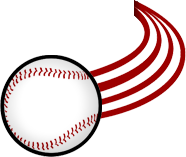 Fans are encouraged to stay in touch with the Bucks by utilizing their website at www.waterloobucks.com or utilizing the Northwoods League Mobile App. The Waterloo Bucks are a member of the finest developmental league for elite college baseball players, the Northwoods League. Now in its 26th season, the Northwoods League is the largest organized baseball league in the world with 20 teams, drawing significantly more fans, in a friendly ballpark experience, than any league of its kind. A valuable training ground for coaches, umpires and front office staff, over 200 former Northwoods League players have advanced to Major League Baseball, including three-time Cy Young Award winner Max Scherzer (WAS), two-time World Series Champions Ben Zobrist (CHC) and Brandon Crawford (SFG) and MLB All-Stars Chris Sale (BOS), Jordan Zimmermann (DET) and Curtis Granderson (TOR). All league games are viewable live via the Northwoods League portal. For more information, visit www.waterloobucks.com or download the new Northwoods League Mobile App on the Apple App Store or on Google Play and set the Bucks as your favorite team.